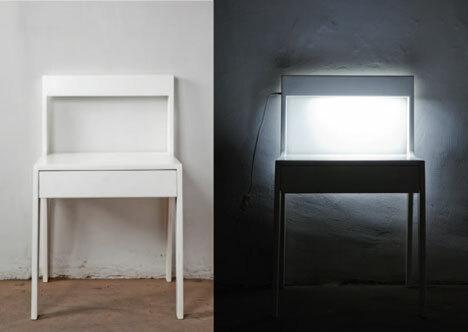 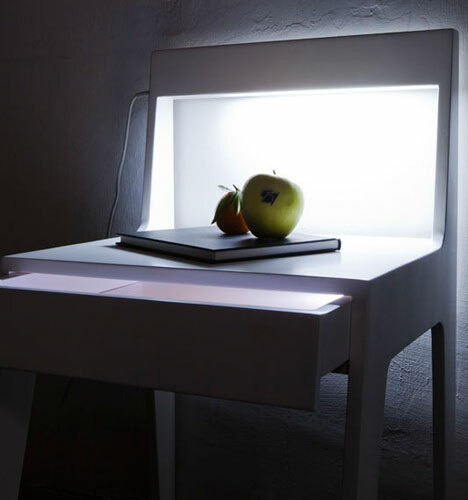 From Spigoli Vivi, a chair for small spaces that combines a chair, a night table and a light.The back of the chair is a lamp and the seat is a 'shelf' where one can put the things needed for the night.Per Spigoli Vivi, "The result of an attempt to develop a product 'combo'; created both from the improper use of a chair and from the need to have a chair that is at the same time a bedside table." 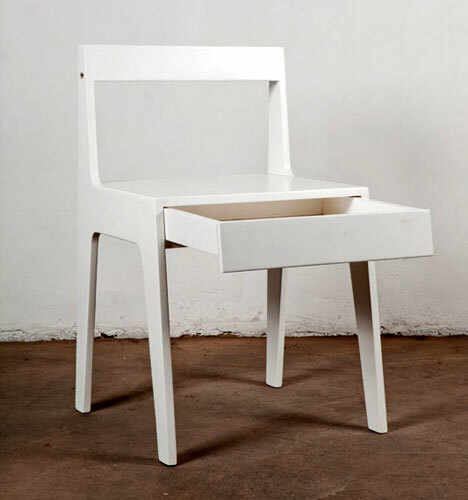 "A 'bricolage' operation meant only as design technique. 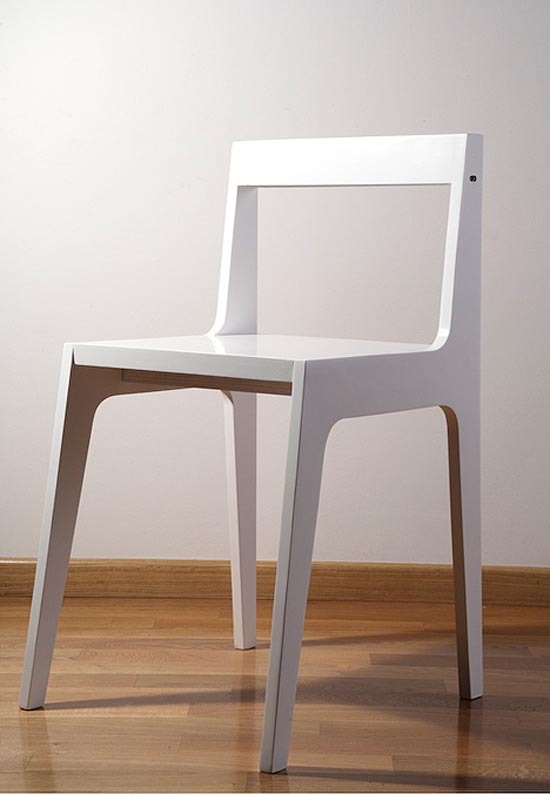 A product made entirely in wood, according to criteria of eco-sustainability, tradition and design simplicity."